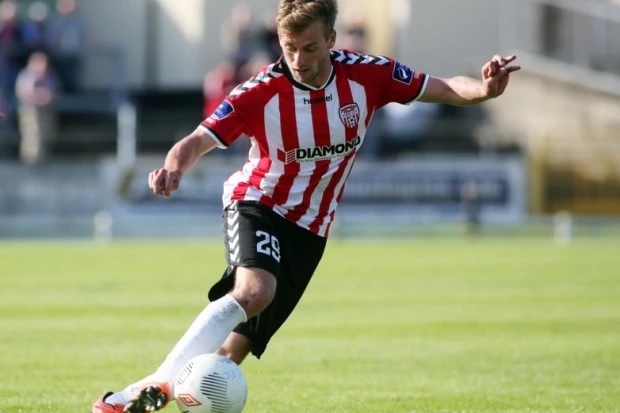 Derry City booked their place into the FAI Cup semi-final following an impressive 3-1 win at Wexford Youths, on Friday night. The home side raced into a sixth minute lead thanks to Eric Molloy’s goal. Despite taking the lead Youths seemed content to drop back and allow Derry to have a lot of possession and their plan was working until Rory Patterson levelled things with his 14th goal of the season, right on the stroke of half-time. In the second half Derry again dominated possession but it wasn’t until the 66th minute when they took the lead thanks to Lukas Schubert turning the ball home from close range, after Aaron McEneff’s initial free-kick came back off the post. Derry continued to push forward looking for a third goal, which eventually came on 85 minutes as Barry McNamee fired home his fifth goal of the campaign. City are joined by cup holders Dundalk, Cork City and St Patrick’s Athletic in the final four and that semi-final draw will take place on Tuesday morning at 8.30am, on RTE Radio.